We are pleased to announce that our cookbook has been nominated for a Taste Canada award in the Regional/Cultural Category. We are very grateful for this opportunity. 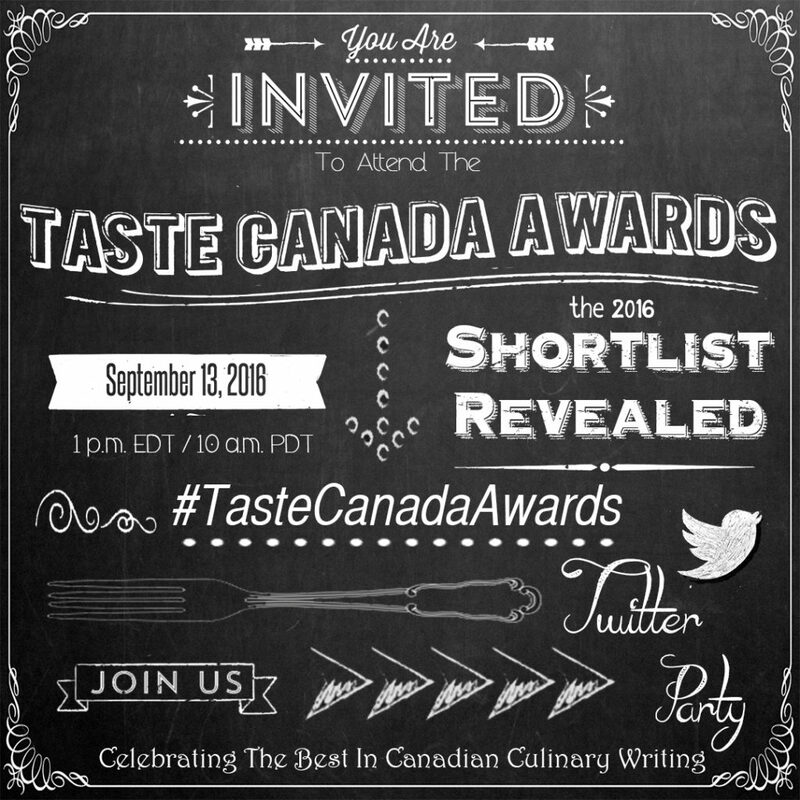 Guelph, ON, August 8, 2016—For the first time in its 19-year history, Taste Canada Awards / Les Lauréats des Saveurs du Canada will reveal the shortlist on Twitter on September 13th. Taste Canada – The Food Writing Awards (tastecanada.org) celebrates culinary writing in Canada in both official languages. This year, Taste Canada Awards received 150 submissions (96 books and 54 food blogs). The shortlist narrows down the contenders to 55, and at the Gala on November 14th, Taste Canada Awards will present 22 winners with a Gold or Silver Award. The Taste Canada Awards Gala, held at the Arcadian Court in Toronto, is a one-of-a-kind gastronomic event with more than a dozen chef-led food stations presented by Toronto’s most celebrated chefs, and a Red Carpet walked by some of the most celebrated writers and culinary personalities from Canada. At the Gala, Taste Canada Awards will also name this year’s Hall of Fame Award inductees (living and posthumous) sponsored by The Culinary Historians of Canada. FACT: In 2015, the total units sold in Canada for books in the “Cooking” subject category amounted to 1.3 million for a total value of $38.7 million, according to BookNet Canada. Taste Canada Awards celebrates 19 years as the only organization in Canada that recognizes this nation’s abundance of outstanding culinary writers. The mission of Taste Canada Awards is to be the authoritative culinary writing award in Canada by showcasing and recognizing the best. Our vision is to promote Canadian-authored culinary writing so it is recognized as world class. Drawn from Canadian academic, publishing, creative and institutional fields, the independent panel of judges reviews submissions across six categories. McClusky, Peter. Ontario Garlic: The Story from Farm to Festival. Arcadia Publishing and The History Press, Mt. Pleasant, S.C.
Silver, Daniella and Norene Gilletz. The Silver Platter: Simple to Spectacular; Wholesome, Family-Friendly Recipes. Artscroll/Mesorah Publication Ltd., Brooklyn, N.Y.